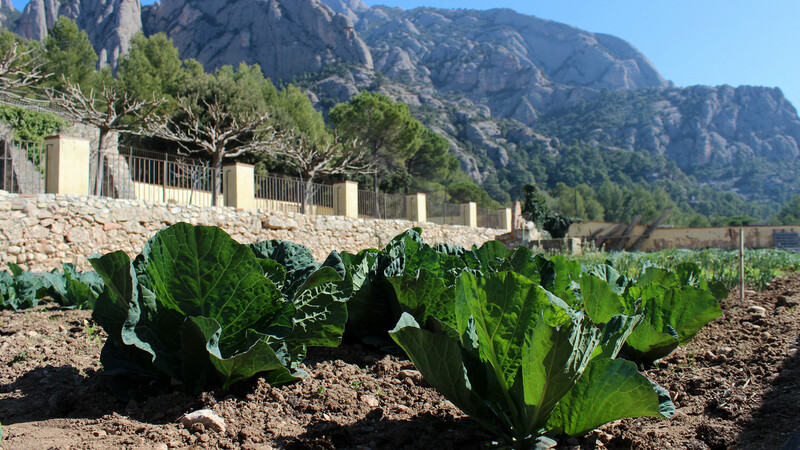 In 1566 the Montserrat monastery bought lands in El Bruc to plant vineyard and increase the wine production which they were also doing from a farmhouse in Esparraguera, from that moment the previous farmhouse was called “Vinyavella” (old vineyard) and our farmhouse was named “Vinyanova” (new vineyard). Later some adjoining lands from Collbató were added to the property. Vinyanova fastly expanded from only being a vineyard to an important productive complex providing food and shelter to the religious, pilgrims and eremites, prepared to host monks for long periods of time.. The farmhouse specialized on the production of wine and olive oil, the second of which we continue doing and offer that olive oil in the restaurant, and also vegetables gardens and construction of a grape press, olive-oil press, a cellar to store the wine, stables, pens and a big well that collected the water from the rains, recently restored. In a residential level, houses for the farmers and the monks were built, as well as a church, kitchen, library, etc. Used more commonly by old monks seeking calmness and retirement. Following the laws of the expropriation of Mendiazabal between 1820 and 1835, the country house was seizured from the church by the state and put on public sale, a couple merchants by the name of Joan Antoni Miret i Miquel Formosa bought it, later in 1846 they split the property between them. 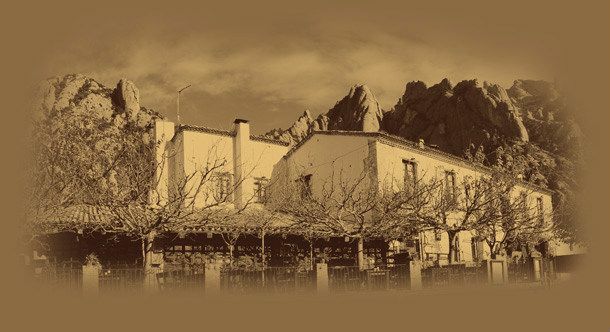 In 1891 Josep Termes, great-grandfather of the current owner, bought the property part belonging to El Bruc, while the family Rogent bought the part of Collbató, the country house was inhabited by farmers till 1958, presently day the whole country house belongs to the family Solà Lien, descendants from Josep Termes, who cultivate the land and built a restaurant that has been open to the public since 1993. 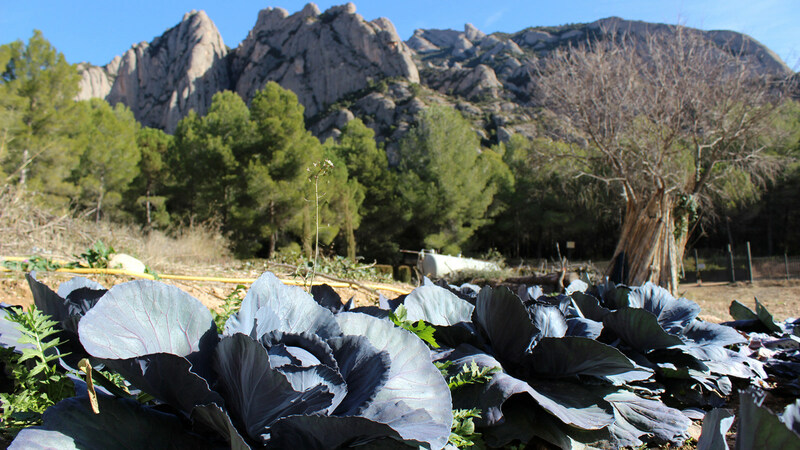 A marvelous environment to connect with the nature in the middle of the national park of Montserrat. 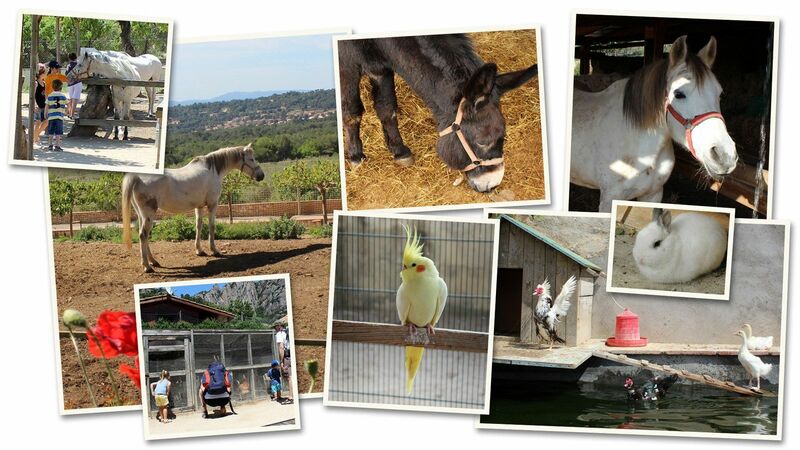 We recommend you the trips offered by l’Alzina de Collbató. 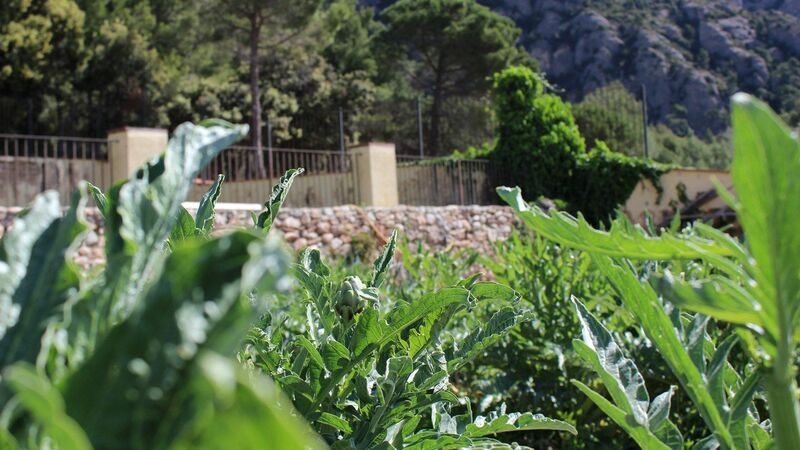 The olive oil tree is a typical species in the crops surrounding Montserrat, and the olive oil one fundamental ingredient in the Mediterranean cuisine. In Vinyanova it’s been cultivated from centuries ago, currently there’s over 2700 trees with the different varieties of the zone, which are “palomar” and “vera”. 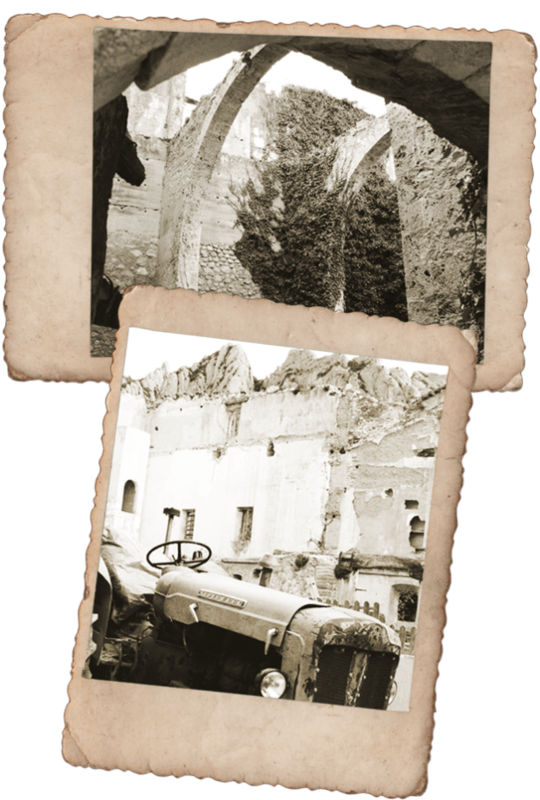 – The “palomar” olive oil tree is originally from this lands. 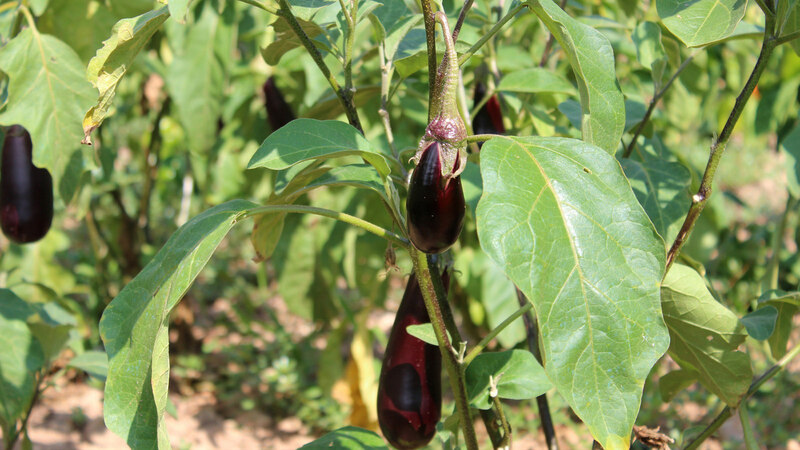 It has a round top, elliptic dark leaves and the fruit matures fast and has a thin form. The productivity is low and the resulting olive oil is very appreciated because of its subtle and fluid texture and a soft and sweet taste. 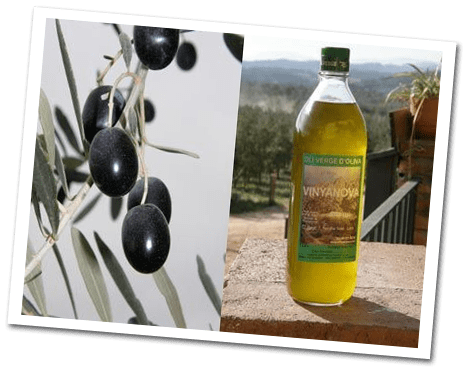 It doesn’t survive frost, but adapts very well to dry and stony ground..
– The “vera” olive oil tree needs more fertile ground and has the branches longer down than “palomar”, the fruits are round and long, it has a high productivity and the olive oil is high quality. 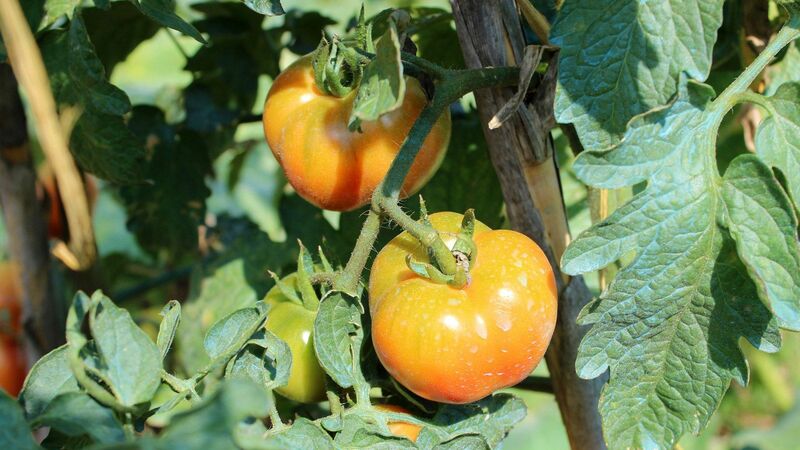 With our gardens you can enjoy our daily labour on your plate! The seasonality of our products is informed in the restaurant. Our farm friends will help you enjoy the magic of the mountain a little bit more.